HeartShare Human Services of New York | HeartShare's 2016 Annual Gala was a success! HeartShare's 2016 Annual Gala was a success! 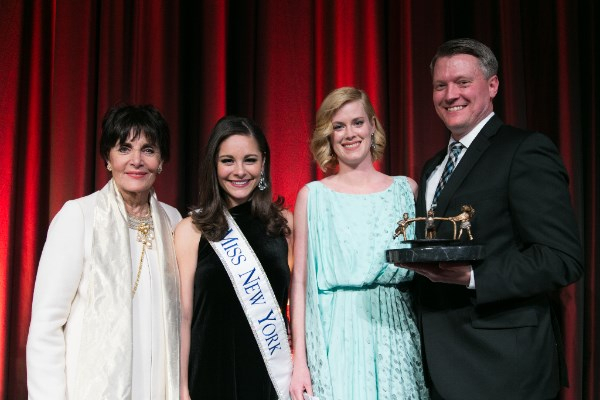 (left to right) Long-time celebrity spokesperson & actress Linda Dano, Miss New York Jamie Lynn Macchia, who volunteered to present awards for the evening, Linda Dano Heart Award honoree Abigail Hawk of CBS’ “Blue Bloods”, and her husband, FDNY Lieutenant Bryan Spies, at the 2016 HeartShare Spring Gala and Auction, New York Marriott Marquis, Wednesday, March 23, 2016. HeartShare’s Spring Gala and Auction was an incredible success. We honored actress Abigail Hawk of CBS’s “Blue Bloods,” Richard C. Cea, Esq. of Wingate, Kearney & Cullen, LLP, Philip C. Kelly of El Caribe and Dominick A. Cama of Investors Bank. Those distinguished individuals, like you, are supportive of HeartShare and its mission to nurture and empower New York children, adults and families in need. At our Gala, we shared a video about Tallal, a boy with autism who learned how to speak for the first time in his life. With 24/7 exposure to skilled, compassionate staff at The HeartShare School and the HeartShare’s Children’s Residence next door, Tallal was able to make this extraordinary breakthrough to become more independent. Tallal’s story–and so many others–exemplify how HeartShare believes in the potential of children and adults with special needs. The dedicated team at The HeartShare School and HeartShare Children’s Residence helped Tallal, diagnosed with autism, speak for the first time. We also heard from Devin, who has attained his dream job working at Modell’s Sporting Goods. 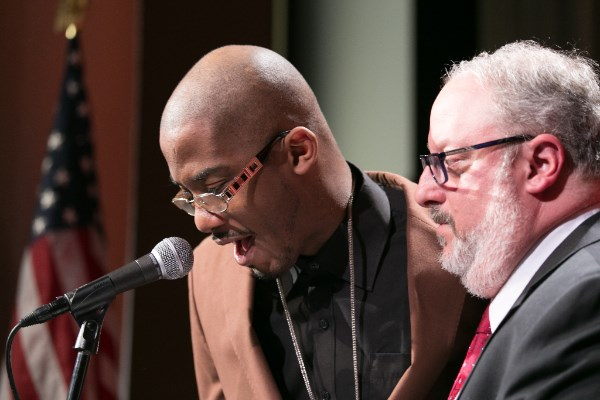 Unfortunately, 80 percent of people with any disability are excluded from the labor force, but HeartShare with inclusive employment partners offers skilled people, like Devin, a fair chance in the competitive workforce. If you or someone you know is interested in expanding employment opportunities for people with intellectual and developmental disabilities, we would love to hear from you. Please send your inquiry directly to Joshua.Skolnick@heartshare.org. “I love my job!” Devin shared with over 1,000 guests at our Gala. At Modell’s, he serves as a greeter, organizes stock and tags merchandise. 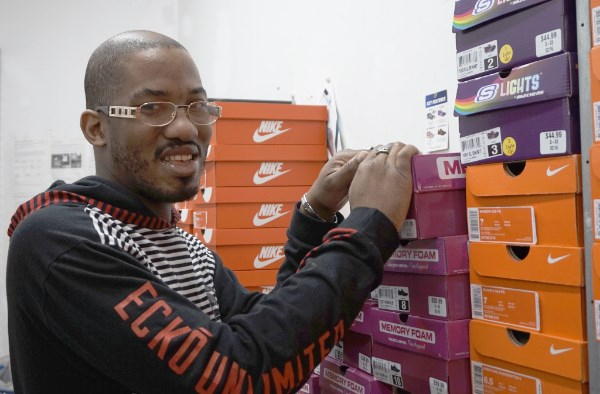 HeartShare’s Employment Programs, with supportive partners throughout New York, enable people, like Devin, to work in a competitive, inclusive environment. We truly are grateful for your ongoing support. We hope you’ll join us at upcoming events that benefit HeartShare and its Family of Services, including a Nets Charity Fundraiser at the Barclays Center on Sunday, April 3, Harbor Fitness’ 5K Race for Autism on Sunday, April 10 and our Annual Buckley’s-Kennedy’s 5K Charity Run and Family Fun Day on Sunday, May 15. For more event details, “Like” HeartShare on Facebook and look out for the new heartshare.org in the coming weeks.